Ever since Caridad, or Cary, was young she knew she wanted to help others. In high school, Cary took a tour at a local hospital with a respiratory therapist and saw him work closely with a nurse. He and the nurse make all the patients they encountered feel more comfortable and Cary was inspired. In 1994, she found herself working as a respiratory therapist at South Miami Hospital. 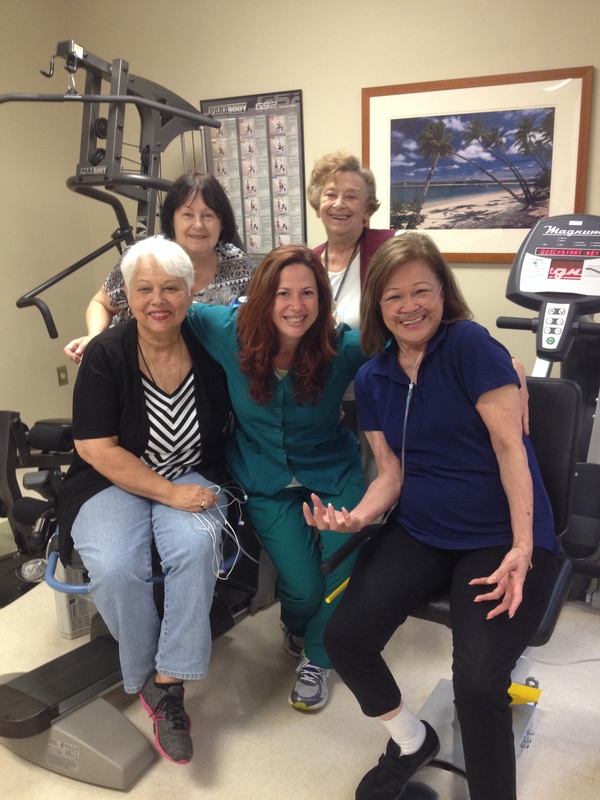 For the past 14 years Cary has been working in South Miami Hospital’s pulmonary rehabilitation center and loves it. We followed up with Cary to learn more about the benefits of pulmonary rehab, as well as the free workshops offered at South Miami Hospital. What is pulmonary rehabilitation and why is it important for individuals living with COPD? 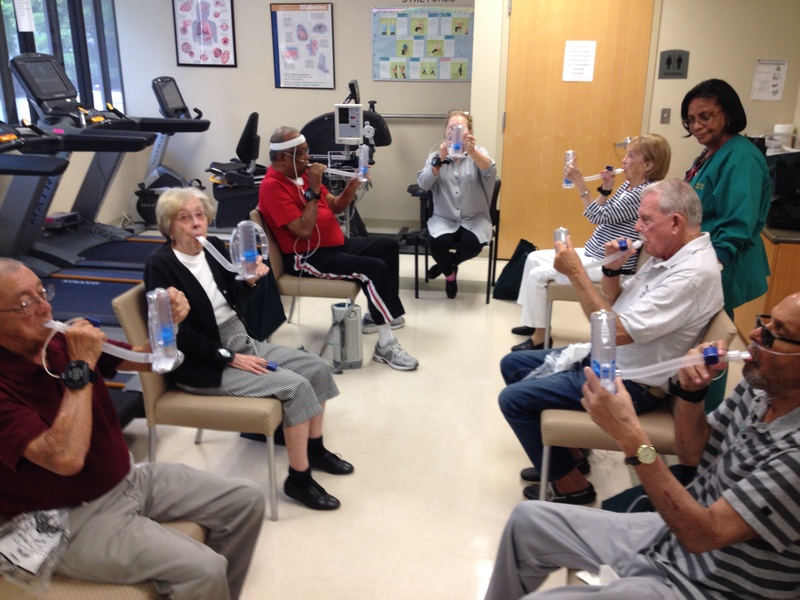 Pulmonary rehab is a place where people with chronic lung conditions go and learn how to breathe correctly. They learn how to improve their quality of life and how to exercise safely. When you have COPD it is hard to breathe and exercise, but we can show you how you can do it. We can also show you how much better you will feel if you apply the techniques. Our motto is, "if you rest you rust." How long are sessions and what does a typical day in pulmonary rehab look like? Each patient has an individualized exercise plan depending on their current state of health. We make adjustments as needed to help our patients reach their goals. Our sessions are two hours long. It seems like a long time, but time flies by when you are having fun and we like to have fun here at the rehab. On a typical day a patient will come in get assessed (vital signs and questions making sure the patient is in good condition to do rehab for that day). We then do 15 minutes of breathing retraining exercises, followed by 20 minutes of stretches/warm-ups and balance exercises. That is followed by 30 minutes of aerobic activity, followed by 15 minutes of resistance training. We close the session with an education class for about 20-25 minutes. Before everyone leaves we reassess everyone's vital signs. We monitor patients’ oxygen levels and heart rates the entire time. Tell us about the workshops South Miami Hospital provides. What topics do you address? How are they helpful to your patients? Every three months we have a Better Breathers Club for patients with COPD. We offer support and education for patients and their families. These classes are available to everyone in our community, free of charge. Patients everywhere with or without insurance can come and learn how to better care for their lungs. We also offer all participants a free workout video that we made at our facility. We know that it's not possible for all patients to attend, but we try to encourage all patients to exercise safely and to be active. In our workshops we cover topics such as proper breathing techniques, how to use respiratory medications correctly, traveling with oxygen and using oxygen appropriately and fall prevention, among others. How can individuals find pulmonary rehab facilities in their area? The best way to find a pulmonary rehab in your area is to type in pulmonary rehab in an online search. You can also call the C.O.P.D. Information Line at 1.866.316.2673 and ask them to help you find a program. Once you find a pulmonary rehab in your area immediately ask your pulmonologist or primary care doctor for a referral/prescription. It's the best decision you will make for your health. What can individuals without insurance do to attend pulmonary rehab? We encourage local patients without insurance to attend our free workshops and we can send them some educational information by mail. We can also give them our exercise video so they stay active at home. I encourage patients to start their own support group. They can meet once a month at a coffee shop or at a park (weather permitting) and offer support to one another. Oftentimes our patients leave the rehab and they go downstairs for a free coffee and just talk. I think that is one of the most important aspects of pulmonary rehab. We bring patients together that have something in common. They become friends. They worry about each other when one misses therapy. We are a family. Can’t attend pulmonary rehab and need support? Call the C.O.P.D. Information Line at 1.866.316.2673 to order free educational materials or connect with our online community at www.COPD360social.org.